Feel free to bring your own coffee & breakfast! 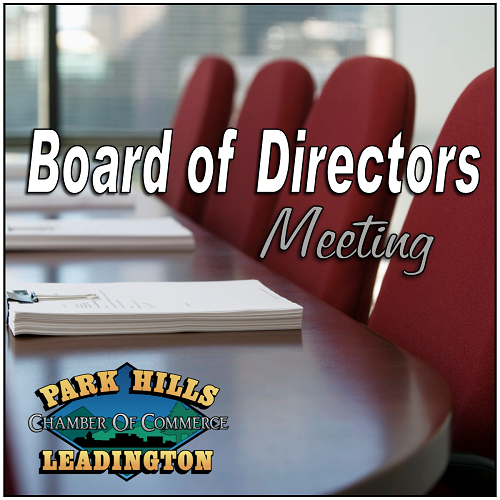 The Park Hills - Leadington Chamber of Commerce Board of Directors meets monthly to discuss chamber business, finances, events, committee updates and important legislative issues when needed. These are closed business meetings scheduled for the appointed Chamber of Commerce board members.